If you’ve ever meandered through the native Washingtonia filifera fan palm grove in Palm Canyon, feeling the shaded air against your skin and hearing nothing but birdsong and a light breeze blowing through the fronds, you’ve likely experienced an immediate sense of relaxation and ease. It’s no wonder: Research has shown that spending time in natural environments has measurable benefits. In fact, a recent study published by the National Institutes of Health reported on the physiological effects of slowly walking among trees, which the Japanese call Shinrin-yoku. The word literally means “forest bathing.” After participants breathed in the odor of the woods, heard the sounds of stream water, and viewed the scenery around them, their bodies tested lower for cortisol and had a lower pulse rate and blood pressure, as well as a calmer nervous system, increased immune function, and reduced stress levels. At the Sunstone Spa at Agua Caliente Casino Resort Spa in Rancho Mirage, guests can now experience the benefits of “forest bathing” by receiving treatments infused with the essential oil of pine and other tree oils. What creates this relaxation response? It all comes down to chemistry. Every type of plant contains substances that, when ingested by humans through the senses, create a reaction. It’s been determined that taking in these substances through the sense of smell has a greater effect on physiological response than experiencing them through the other senses (such as topically or internally). 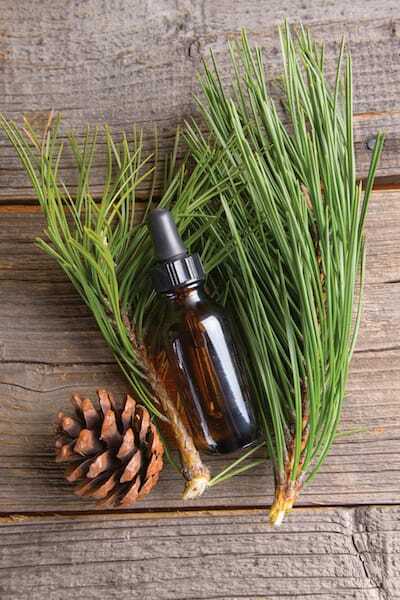 The essential oil of pine, for instance, contains the organic compounds alpha-pinene, bete-pinene, limonene, and delta-3-carene, which, when inhaled, are believed to relieve anxiety and revitalize the mind, body, and spirit, among other benefits. First investigated around 300 BC for its curative respiratory properties by the Greek physician Hippocrates (known as the father of Western medicine), pine has also been used to treat lung infections and added to baths to cure mental and emotional fatigue. 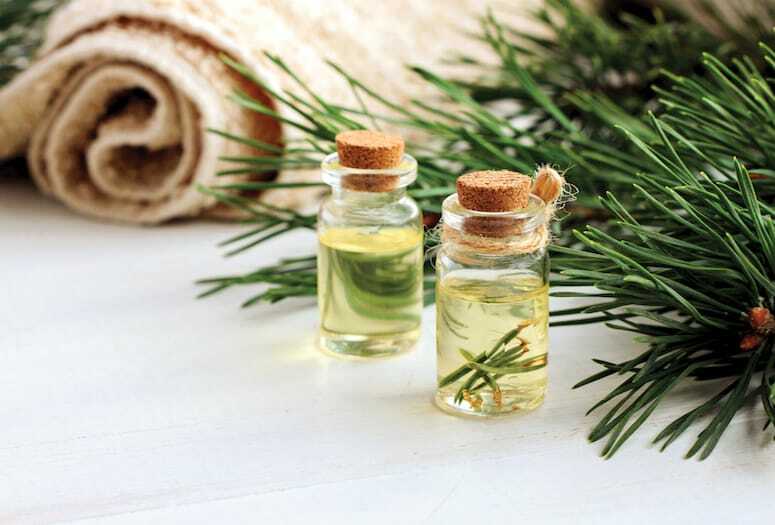 Pine needles from evergreens of all sorts, including white pine, cedar, and arborvitae, contain essential oils that are believed to possess antiseptic, antifungal, antiviral, and anti-carcinogenic properties. Pine (pinyon) trees, which are found in the higher elevations of the San Jacinto Mountains, played an important role in the lives of ancient Cahuilla — who have tapped into the healing benefits of plants for thousands of years. Not only did they eat the pine nuts for food, they also rubbed the tree sap, which has a strong scent, on their bodies while hunting so animals could not detect them coming. The essential oil of pine also contains antioxidants that, when applied to the skin, help reduce the appearance of fine lines and wrinkles. When paired with rosemary, the combination acts as an astringent and skin brightener. “We want our spa guests to take home a deeper experience of health and wellness,” says Spa Manager Daniel Spencer. “With our new Shinrin-yoku-inspired offerings, guests can receive the treatments they already love with the added benefits that pine and other tree oils bring. Book It: Infused with the oils of pine, frankincense, sandalwood, and arborvitae (also known as the “Tree of Life” by some Native tribes), these treatments at Sunstone Spa transport you into the calm of a forest.